Five exclusive formats provide the parameters for your personal wellbeing. 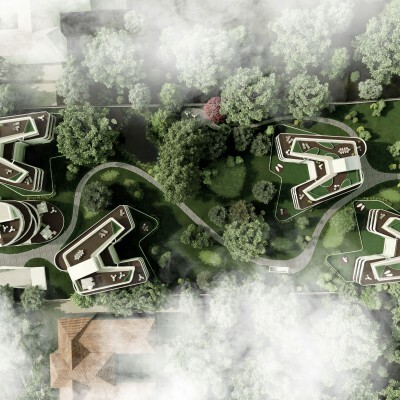 Inspired by the shape of a butterfly, the apartment buildings lose themselves in one hectare of parkland. The apartments are surrounded by greenery and mature trees, giving you ample space to simply be yourself. 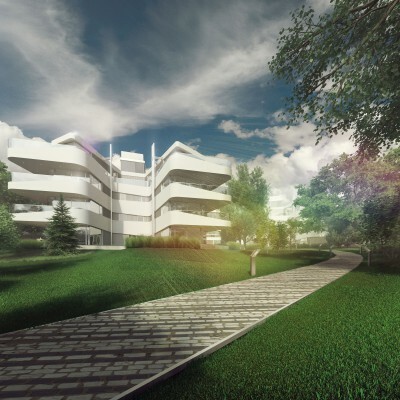 Ranging in size from 110 m2 to 260 m2, each of the apartments comes with its own garden, terrace or balcony, as well as extra-wide garage parking with direct lift access and e-car charging stations. On the inside, the apartments are generously proportioned, with light-filled spaces featuring high-tech smart living accessories, and bespoke fixtures and fittings made of the very best materials.